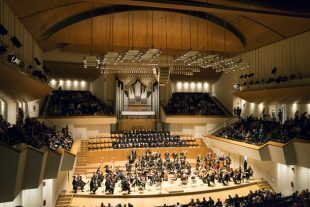 There’s more than one major concert venue in the Turia park. About a kilometer away from the Palau de les Arts Reina Sofia, Valencia’s futuristic egg-shaped opera house, you’ll find the Palau de la Música. Built in 1987, the Palau focuses on classical music. It’s prized for its acoustics, and attracts orchestras and famous musicians from around the world.